Dr. Robin Kay is currently a Full Professor in the Faculty of Education at UOIT in Oshawa, Canada. 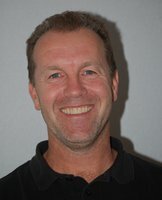 He has published over 160 articles, chapters and conference papers in the area of technology in education, is a reviewer for five prominent computer education journals, and has taught computer science, mathematics, and educational technology for over 20 years at the high school, college, undergraduate and graduate level. Current projects include research on laptop use in higher education, BYOD in K-12 education, web-based learning tools, e-learning and blended learning in secondary and higher education, video podcasts, scale development, emotions and the use of computers, the impact of social media tools in education, and factors that influence how students learn with technology. Dr. Kay received his M.A. in Computer Applications in Education at the University of Toronto and his Ph.D. in Cognitive Science (Educational Psychology) at the University of Toronto.